March | 2015 | M. Jackson Group Inc. This month’s article comes from the February 24, 2015 edition of the British Psychological Society’s Research Digest (http://digest.bps.org.uk/2015/02/recruiters-think-they-can-tell-your.html). Recruiters are poor at inferring an applicant’s personality from their resume, but that doesn’t stop them from jumping to conclusions on the back of their flawed assumptions. That’s according to a new study that involved over a hundred professional recruiters evaluating pairs of resumes. The US-based recruiters estimated applicant personality from the limited information in short two-page resumes. Their estimates were poorly correlated with the self-ratings made by the MBA students who’d written the resumes. But the recruiters appeared to rely heavily on these flawed estimates when drawing conclusions on hireability, as their personality estimates accounted for almost half of the variance in their decision-making. Meanwhile the students’ self-ratings – a more reliable source of information on true personality – were a poor predictor of whether the recruiters would favour them. Another experiment involved 266 participants recruited online and asked to play the role of recruiter. This time, the set of resumes were broken down into their component parts, revealing that a range of elements can provoke personality judgments, from the look and feel of the resume (setting off recruiter inferences about conscientiousness), to mentions of voluntary activities (triggering assumptions of extraversion and agreeableness) and computer skills (interpreted as a sign of openness to experience). The participants in this experiment were most likely to form conclusions about conscientiousness, extraversion and openness to experience and, like the professional recruiters, the more they saw an element having something to say about personality, the more relevant they saw it for assessing hireability. 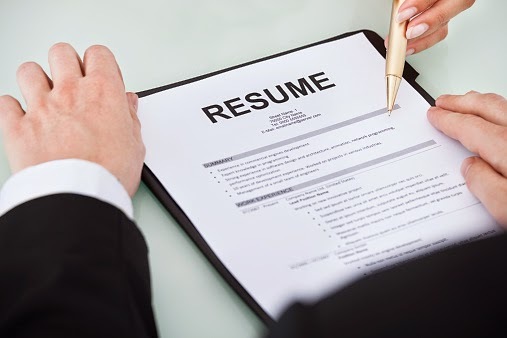 As a resume is often the first impression an applicant gives to a potential employer, it’s worth understanding the assumptions they make, argue Gary Burns and his colleagues, who conducted these experiments. The researchers suggest taking time to give a fair impression of yourself, and recommend some less obvious take-aways such as giving detailed information about your education, describing your extracurricular activities, and steering clear of unusual fonts.